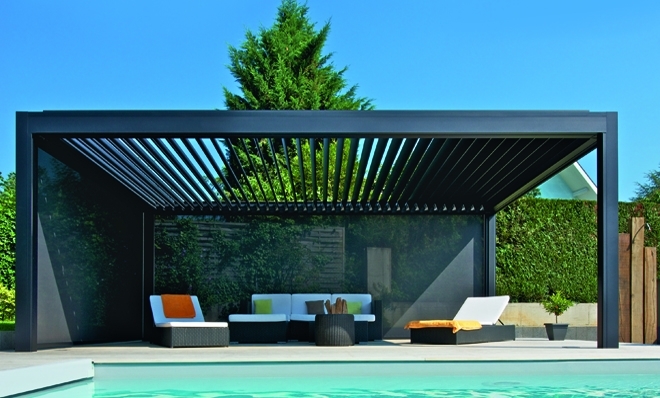 LOUVERED PERGOLA is a fairly new product to the Canadian market. 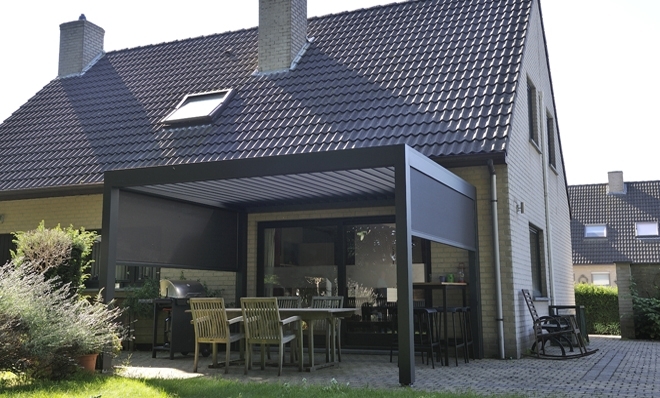 Components for this system are manufactured in Belgium by BRUSTOR. 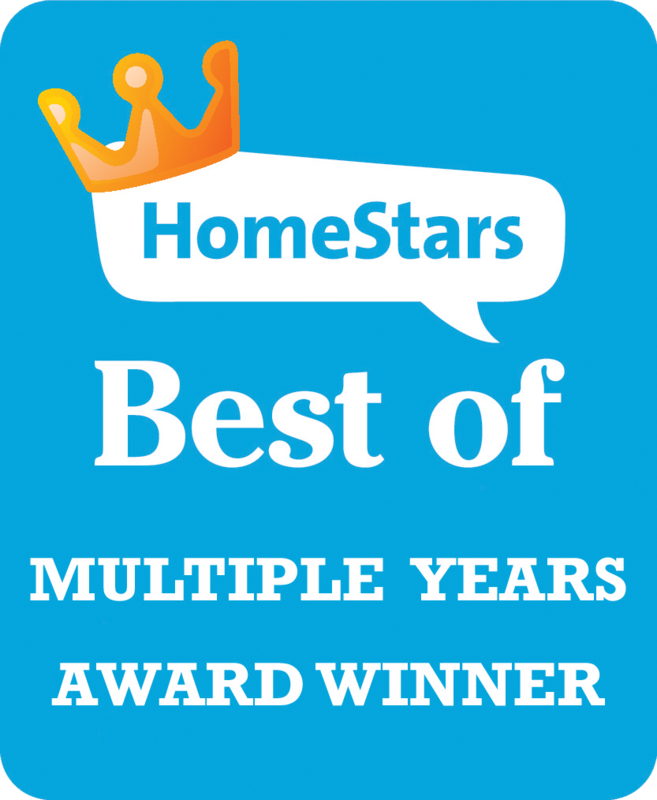 It features sturdy aluminum construction with large 210mm (8.25") louveres. 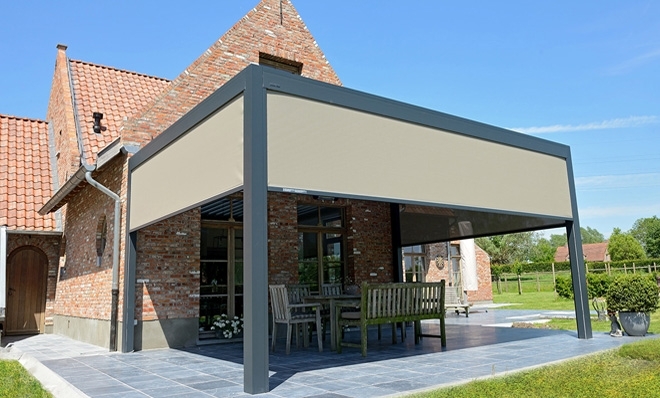 Movement of the louveres is controlled by a linear motor and Somfy remote.By rotating the louvers you can adjust the amount of incoming sunlight. A range of adjustments is 0 to 135 degrees. 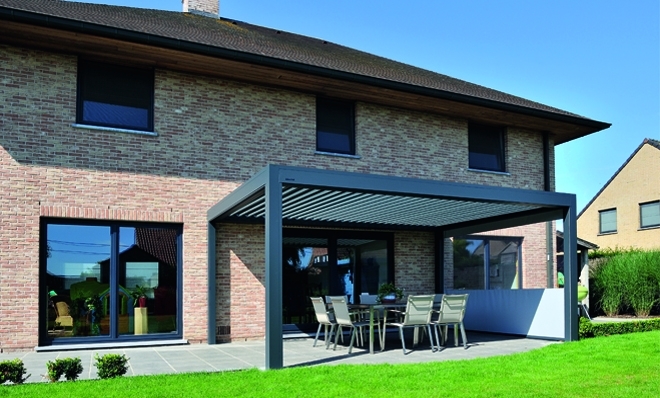 LOUVERED PERGOLA is highly resistant to wind and rated up to 120 km/h. Standard configuration comes with 4 posts, integrated pole supports and rain gutters along all sides. When the louvers are closed, gutters catch the rain and make it drain directly into vertical posts. Multiple modules can be coupled together along the width or projection to achieve greater coverage. ZIP screens can be integrated into the frame between 2 posts. All screens are operated with RTS ALTUS motors and completed with screen fabric. LED lighting can be incorporated into the frame and louveres. Frame is available in white or anthracite grey textured finishes (other colours are available at additional cost). 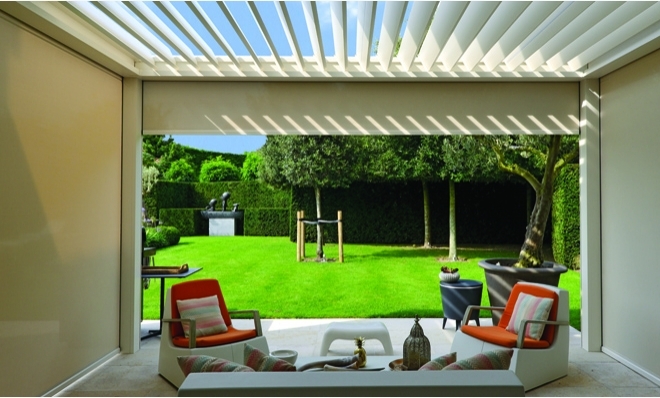 LOUVERED PERGOLA is a special order, please allow 6 to 8 weeks for delivery from the order date. 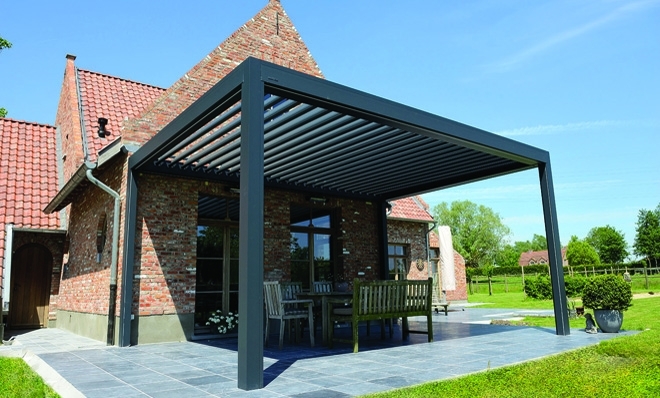 Approximate pricing for a LOUVERED PERGOLA is $85 to $100 per square foot depending on size. This pricing does not include Zip screens or lighting.